Today in Minnesota, over 225,000 U of M graduates will go to work. Watch the video. The University of Minnesota Morris is a nationally ranked undergraduate-focused liberal arts campus with a deep commitment to environmental sustainability and diversity. The University of Minnesota Duluth is a highly-ranked regional research and liberal arts university with a global reputation for freshwater research. Known for its focus on experiential learning for its campus-based students, the University of Minnesota Crookston is also one of the nation’s pioneers in online and distance education. The University of Minnesota Rochester prepares health science professionals and maintains unique collaborations with world-renowned medical organizations in the community. Every credit after 13 is free of charge. Learn more about finances. Student debt fact sheet (PDF). Our 3,900 faculty include members of the National Academy of Sciences, the National Academy of Engineering, and the Institute of Medicine, plus the American Academy of Arts and Sciences, among other bodies. Current and former faculty have won Guggenheim Fellowships, MacArthur Fellowships (“genius grants"), Nobel Prizes, and other significant honors. Our staff are known for being exceptionally dedicated—committed to the University of Minnesota's mission and to each other. While nationwide the average time spent with an employer is four years, employees stay at the U of M for an average of eight years. They stay because they know their work matters. Our students are more ambitious with each passing year. Since 1997, four-year graduation rates have more than doubled. The University of Minnesota is No. 9 in research among all U.S. public universities, with more than $900 million in spending. The University is largely responsible for launching Minnesota’s medical device industry and helped invent the pacemaker. We’re ranked by Forbes as one of the 10 best educational employers in the nation. Minneapolis may not be the largest city in the United States, but it ranks first in health, according to a recent report from Livability.com. The U prepares more than 70 percent of the state’s new physicians (at the Twin Cities and Duluth campuses), and all of state’s pharmacists, dentists, and veterinarians. We are one of only five universities in the nation with an engineering school, a medical school, a law school, a veterinary medical school, and an agricultural school all on one campus. Every dollar invested in the University of Minnesota by the state generates $13.83 in the statewide economy. The U's overall economic impact in Minnesota totals $8.6 billion annually. To understand our state’s investment in University of Minnesota excellence in teaching, research, and public engagement, you need a clear picture of the U of M budget. Learn more about our budget, how we get our money and how we spend it. The University of Minnesota is accredited by the Higher Learning Commission. 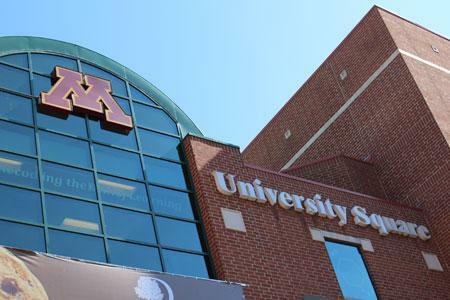 Learn more about the University of Minnesota's accreditation.